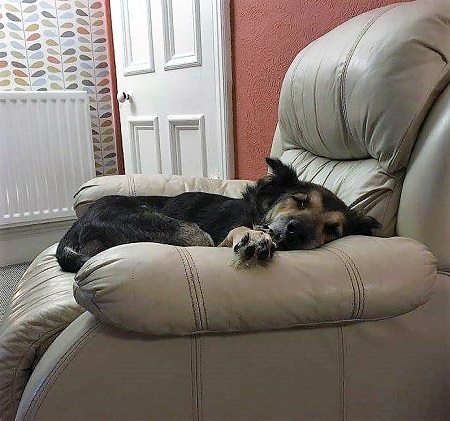 28/10/2018 Great news that special Charlie has found his new home with the help of the Oldies Club. He deserves the best life ever. Pawprints to Freedom would like you to meet Charlie. He is a very special gent who has beaten all odds and wonders if there is a very special person out there for him. Charlie was found with incredible injuries to his ears, completely emaciated and so weak his back legs could hardly hold him. He was taken to a safe place where he healed until he was able to withstand travelling to the U.K. and has surpassed everyone’s expectations by really thriving. His legs are much stronger, although he will always look a bit like Bambi on ice! He could take the title for the gangliest dog ever! Charlie is at least 10 years old, always has a wag in his tail and a little smile on his face. He loves a gentle stroll round the block and happily snoozes the day away. 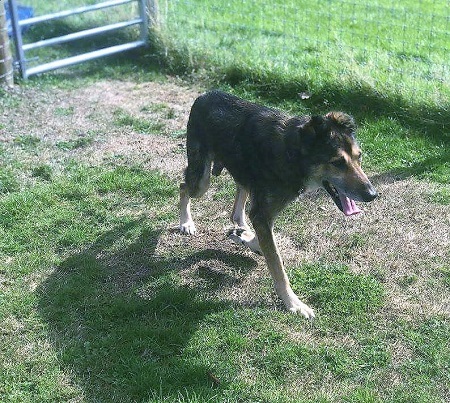 Charlie has met cats, chickens and a rabbit and doesn’t bother with them at all, perfect gent that he is. 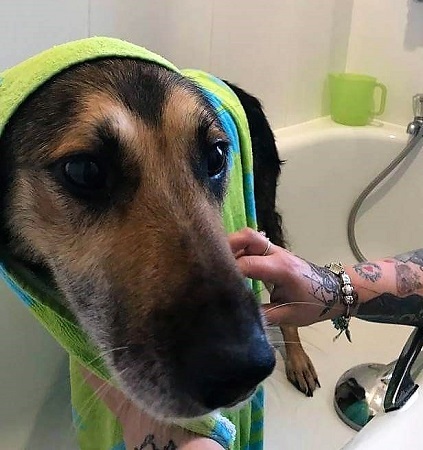 He lives with other dogs happily, but isn’t neutered due to his age and would prefer to settle with a smaller, lady doggy if there were other dogs, but would ideally love his own human all to himself. 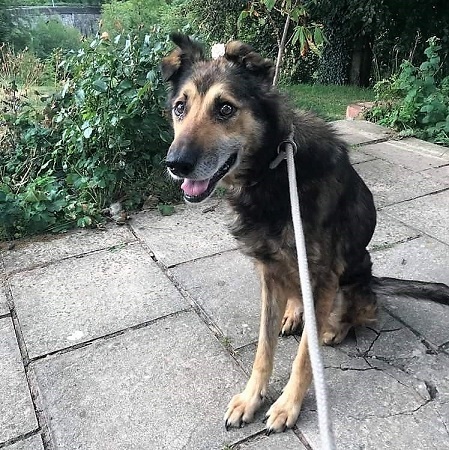 Charlie doesn’t jump up, he takes treats nicely, loves a gentle wander in a garden and, like most older gentleman, prefers to take his time with his toileting due to a slightly enlarged prostate. He can be a little protective, so needs reassurance when strangers arrive to the home, but he listens well and loves to please. He is great in a car and travels well. Charlie’s favourite time of day is any time that involves his food bowl; he has put weight on steadily – and should continue to do so and get stronger and healthier. He would love to hear from anyone who thinks they would like to come to meet him and see just how much they will love him. He is available for a special retirement adoption donation of £75. 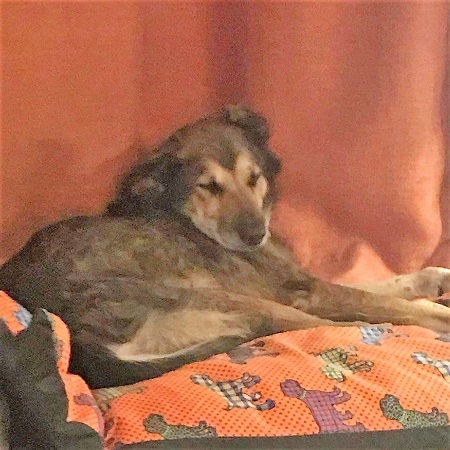 Please mention you saw Charlie on the Oldies Club website.